Not Your Typical Magical Girl: The subculture of Grand Narrative Consumption. Hiroki Azuma proposes that within postmodern otaku culture there is a lack of desire to consume the grand narrative, and instead otaku seek to consume a character database. However, there are several anime that can be pitted against his theory. One is called Mahou Shoujo Madoka Magica, a magical girl anime that completely deconstructs the magical girl genre. Madoka Magica is one of the few anime with a grand narrative that have made it into mainstream anime consumption. Azuma’s theory is that there is a lack of a grand narrative in postmodern anime and I agree that the grand narrative is dissipating, however, what can’t be seen on the surface of otaku culture is that there is still a subculture of anime that focuses on a grand narrative. Azuma built this idea off of Otsuka Eiji’s theory of narrative consumption. He modernizes it by claiming that postmodern otaku culture has further digressed from the consumption of small narratives in the 1980’s to a different consumption behavior in the 1990’s that focuses more on the desire for a specific set of characteristics a character may have that otaku feel “moe” towards, and he calls this “database consumption” (Azuma 38). The database is a list of these characteristics that many otaku find appealing, and what they strive to consume. Instead of looking for a story with meaningful plot they look for the characteristics of a character that they find attractive. There are also other attractive “moe-elements” other than visually appealing characteristics that include the way a character speaks, “settings”, “stereotypical narrative development”, and the “specific curves” or body proportions of a figurine (42). An example of this could be a character that is typically seen as a klutz and dimwitted. Otaku search out anime that contain this particular character trope and endlessly consume it. Magical girl characters are a perfect example of this character consumption model. The magical girl genre stereotypically contains characters that are cute, heroic, and seek to bring justice to those that do wrong. They can also contain typical anime characteristics like cat ears, maid-like or school-like uniforms, and colorful unnatural hair colors. However, there is a popular magical girl anime that breaks down Azuma’s Theory of database consumption that is called Mahou Shoujo Madoka Magica. It was written by Gen Urobuchi and directed by Akiyuki Shinbo, and is a series about Madoka Kaname, an eighth grader who decides to become a magical girl which is granted by a creature named Kyubey (MAL). Kyubey in turn grants them one wish, but in order for their wish to come true they must become a magical girl. Once they become a magical girl they receive a Soul Gem. These magical girls battle an opposing force called witches and this is supposed to represent a “good vs evil” framework. Throughout the anime we are confronted by dream-like and ‘cutesy’ imagery and also database representations of what a magical girl looks like, which is a magical girl fighting uniform and also unnatural hair colors. The main Character, Madoka, comes across as a naïve and hardworking junior high student who doesn’t have any hardships in her life but wants to selflessly help other people. 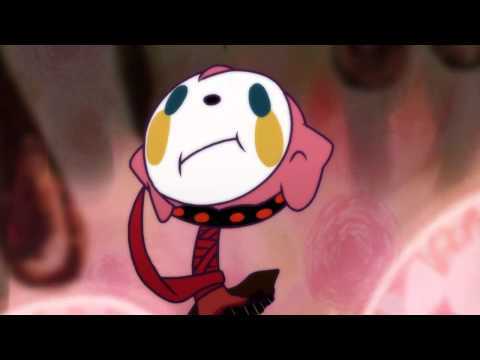 Initially Madoka Magica comes off as a generic Magical girl anime, but after the first few episodes the anime starts to take a darker more psychological turn. It completely “deconstructs” the magical girl genre and throws fans through a loop (Wu). After the death of one of the main characters there was an uproar within the fandom. Especially since the death came so “sudden and without warning” (Wu). The death threw the characters and fans into emotional turmoil and they started to discover the truth about what it meant to be a magical girl. By becoming a magical girl they are in a sense giving up their humanity, and this is shown in episode 6 when “Madoka threw away Sayaka Miki’s Soul Gem” (Wu). By doing this Madoka Magica uses a bait-and-switch style of marketing in which is presents the grand narrative to its viewers regardless of whether or not they were seeking it. They used the database as a camouflage and as a result, we are presented with a series that breaks away from the database as soon as it seduces its viewers. Madoka Magica also contrasts with mainstream database consumption anime merely by the amount of episodes that it is composed of. Unlike other magical girl anime, Madoka Magica is a 12 episode anime. Most magical girl anime are compose of approximately 50 or more episodes in which there is a generic repeating story arc where the characters face a new evil and defeat it successfully. Story arcs can be repeated hundreds of times and contain many filler episodes that contain no plot and only a light-hearted interactions between the characters in the series. Sailor Moon is a perfect example of a popular magical girl anime that is based off of character consumption with a small narrative in contrast to Madoka Magica that contains a database framework but also a grand narrative. Sailor moon is a series that contains 46 episodes in the first series, and goes on to repeat the good vs evil fight in several different story arcs. Despite the small amount of episodes, Madoka Magica successfully produces a grand narrative that is resolved within the last episode and leaves you fully satisfied with the story line. Even though Madoka Magica strayed from the path of a typical Magical girl anime it was very successful. The very moment the true nature of Madoka Magica was revealed during episode 3 “the popular forum 2ch achieved a record-breaking number of posts discussing the anime” (Wu). The unexpected inclusion of a grand narrative solidified the consumer’s emotional investment into the story line of an anime that started off in a very generic way. The success of the anime was further confirmed when “the first Blu-ray Disc volume sold more than 50,000 copies in the first week of sales” which broke “the original record held by Bakemonogatari” and was only “surpassed a month later by its own second volume”(Wu). Though reactions to the anime were polarizing at times. Some original fans of the Magical girl genre opposed the deconstruction of what it mean to be a magical girl and don’t consider it a true magical girl anime. Even so, based on the differing reactions the anime drew, the subculture of otaku that still crave the grand narrative were drawn to the concept of the anime. Some even consumed it entirely for the purpose of the grand narrative it was said to contain. This shows that the database consumption model can be used as an effective marketing tool to draw viewers into a grand narrative. Do you think that the grand narrative is something that is currently on the rise in comparison to the 1990’s? What do you think of the concept of genre deconstruction? Do you think disguising the grand narrative in the database as a way to shock viewers is a good or bad thing? Azuma, Hiroki. “Chapter 2: Database Animals.” Otaku: Japan’s Database Animals. Minneapolis: U of Minnesota, 2009. 29-54. Print. MAL. “Mahou Shoujo Madoka Magica.” My Anime List. MyAnimeList, LLC. Web. 5 Apr. 2015. <http://myanimelist.net/anime/9756/Mahou_Shoujo_Madoka%E2%98%85Magica/>. Wu, Justin. “The Madoka Legacy: A Brief Review of Puella Magi Madoka Magica.” The Artifice. N.p., 22 Sept. 2013. Web. 05 Apr. 2015. <http://the-artifice.com/puella-magi-madoka-magica/>. My name is Mandy. I am a Junior Studying Psychology at the College of William and Mary. I also am a part of the W&M Women’s Rugby Club. I come from a military family background. My interest in Japanese Culture developed as a child due to the fact that I grew up in Okinawa, Japan. Ever since then I have been interested in Japanese culture, language, movies, and animation. I am currently studying Japanese with the hopes of one day being fluent and going abroad to Japan.